← Three strikes and you’re out?.. Patrick Ewing as a head coach? Photo courtesy of nicekicks.com. Patrick Ewing (right) wants to do what Rick Pitino (left) does and step into the head coaching ranks. The NBA Draft was a wild one this year. Who cares if the talent level was at a seemingly all-time low and that the lottery was dominated by little-known international players. Television ratings were the highest they have ever been. And everyone is praying that a new CBA gets formed sooner rather than later. But in the meantime, an intriguing story just broke. The Detroit Pistons are considering Patrick Ewing, the former Knicks great, as a possible candidate for their head coach vacancy? Ewing, who really defined New York basketball for a 15 year period has been an assistant coach basically since his retirement. Many have pigeon-holed the first ballot Hall of Famer as a “Big Man” assistant. I mean Ewing has worked with the likes of Yao Ming, and most recently Dwight Howard. But he definitely has some solid coaching experience and feels he is ready to take on the reigns of the big job. To be honest, I am not sure if Ewing is ready to be a head coach. I do know that both Dwight Howard and Yao Ming thrived while working with Ewing. But being an assistant is much different from being a head coach. I am very curious to see how this story develops. Ewing was heartbroken not to get considered as a candidate for the Knicks coaching vacancy a while back, but this may be his big shot at joining the head coaching ranks. I wish the old-school center the best of luck in his job search. As long as Detroit does not hire Isiah Thomas, which it appears they will not, they should be okay moving forward. This entry was posted in NBA and tagged CBA, Detroit Pistons, Dwight Howard, Isiah Thomas, NBA, NBA Draft, New York Knicks, Patrick Ewing, Rick Pitino, Yao Ming. Bookmark the permalink. 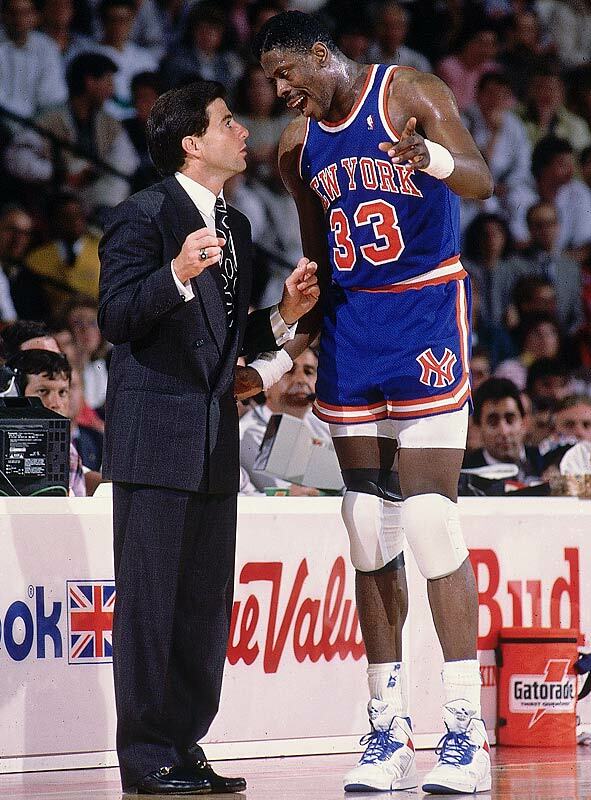 Love to see Ewing become a head coach. He never got the proper respect that he deserves thanks to John Thompson not letting him talk to the media when he was at Georgetown. Ewing is a bright, articulate, individual who I am sure knows the game. He certainly could play. Good luck Patrick. I completely agree. People have a false perception of his intelligence due to how John Thompson restricted his players from talking to the media. Thompson was a great coach, but he also made people develop false pretenses about his star players. I hope he gets a shot one day.